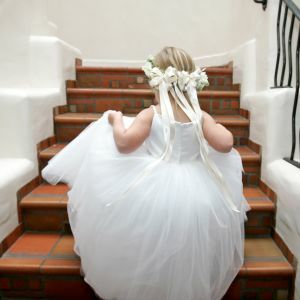 In November, the hotel is the venue for two special groups who couldn’t be more different. 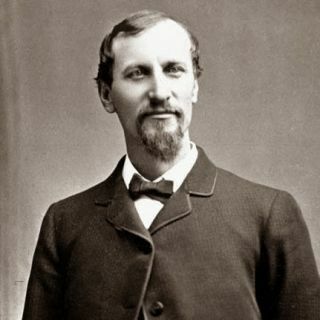 November 2-4 is the 8th annual Fred Harvey Weekend, a weekend festival celebrating famed 19th Century entrepreneur and Santa Fe restaurateur Fred Harvey. Fred Harvey Weekend features discussion panels, cooking classes, tours, and much more, perfect for the aspiring FredHead and taking place at La Fonda, the NM History Museum and the Plaza Hotel in Las Vegas. 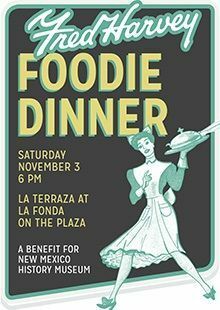 We’re especially excited for a delicious evening of Fred Harvey-inspired cuisine by Santa Fe's boldest chefs (Nov. 3) right here at La Fonda! 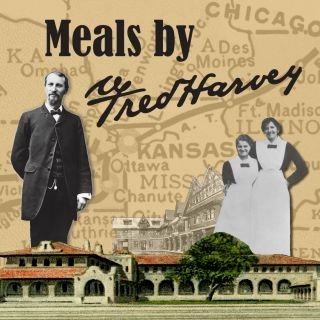 A unique foodie event celebrating the culinary innovation of hospitality entrepreneur Fred Harvey who civilized the Wild West, one meal at a time. 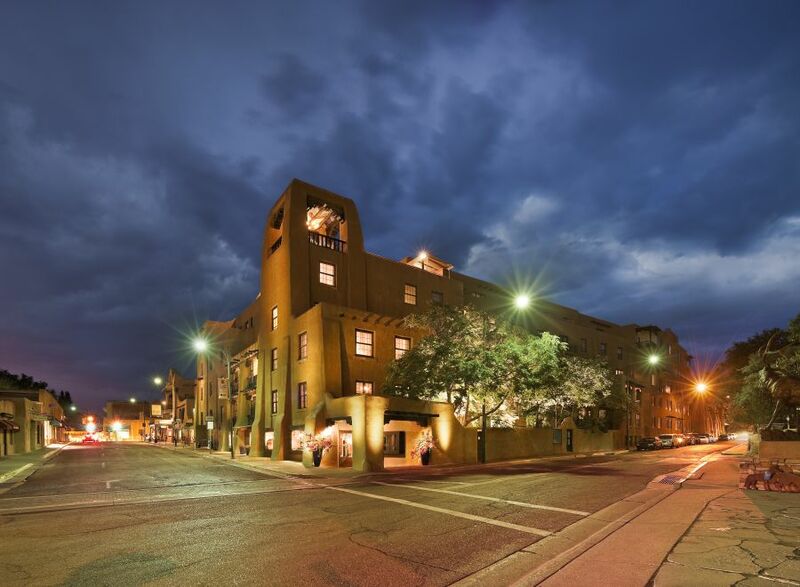 It’s a benefit for the New Mexico History Museum's exhibitions and public programming, and the Fred Harvey permanent exhibit. 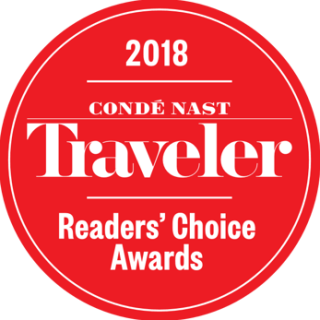 Santa Fe’s top chefs will reinterpret classic Fred Harvey dishes from the Harvey hotels, restaurants and the dining cars of the Atchison, Topeka & Santa Fe Railroad. 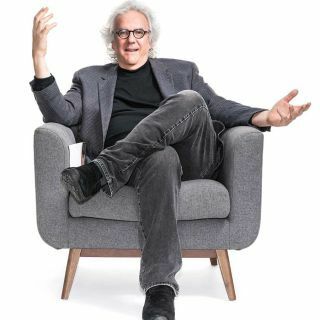 At the time this was published, there were only a few seats left, but it can't hurt to check. Click HERE to see if there is still availability. This year’s chefs include our own Chef Lane Warner, among others, cooking up Dover Sole Paupiette with Shrimp Mousse & Lemon Brown Butter Sauce, along with other amazing dishes. Click HERE to see the menu. Between courses, there will be a cooking demonstration and short talks on how Fred Harvey brought Southwest’s cuisines to the world and the world’s cuisines to the Southwest, with bestselling author Stephen Fried and NM State University culinary anthropologist Lois Stanford. 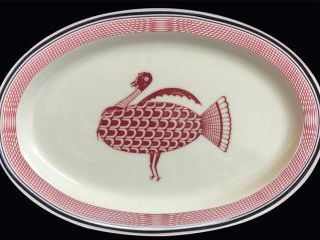 Each dinner guest will also receive an exclusive reproduction Mimbreño china platter originally designed by Mary Colter for the Fred Harvey company in the 1930s. 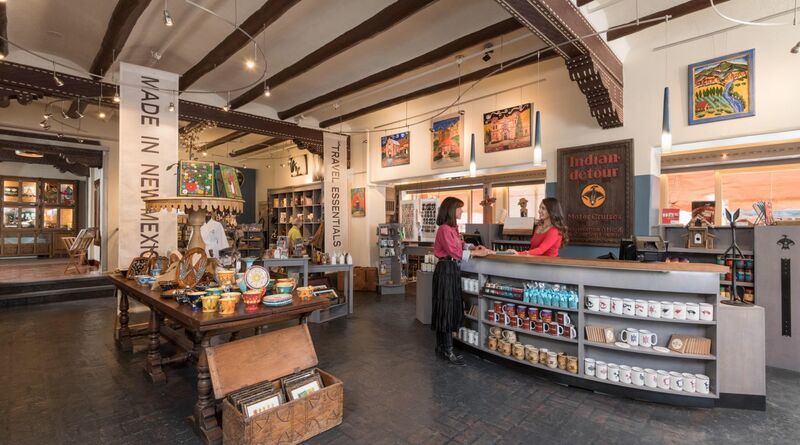 Check out Detours at La Fonda for more Mimbreño ware, including mugs, plates, bowls and more. That same weekend, a very different group will be here delving into cyber warfare, covert action, international affairs, and nuclear proliferation. 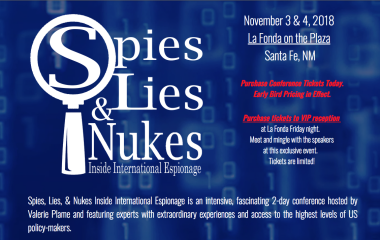 We’re hosting former covert CIA officer local Santa Fean, and a dear friend of mine, Valerie Plame, and several of her CIA colleagues for Spies, Lies, & Nukes: Inside International Espionage (Nov. 3-4). The symposium promises an exclusive look at these topics and why they are so relevant today. La Fonda’s long history with the spy game includes serving as the place where Manhattan Project staff and scientists blew off steam from their top-secret mission. And some of our own staff were actually undercover FBI agents (and maybe even Russian spies). 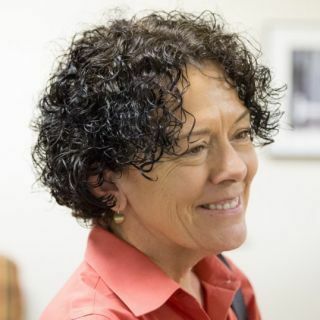 The last time Ms. Plame spoke at La Fonda, it was standing room only, so this is sure to be a popular event! Make sure you get your tickets soon. In conjunction with the 8th annual Fred Harvey History weekend, Detours will be featuring a newly acquired collection of Harvey era jewelry from the 1930’s – 1950’s, as well as hosting a trunk show on Saturday, Nov. 3rd from 4-6 with an additional special selection from the widely collected vintage railroad jewelry. 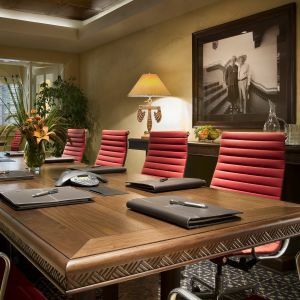 Along with these vintage pieces are contemporary designs from the Santa Fe Railway. Also, the historical collection of the “Fred Harvey” dinnerware pattern inspired by the 1,000 year old pottery artwork of the ancient Mimbres culture and conceptualized by architect Mary Colter, is available for your holiday celebrations. Additionally, a selection of books pertaining to La Fonda history as well as other Harvey Houses throughout the Southwest will be on hand for purchase. 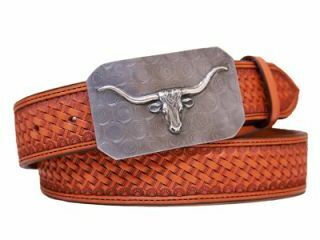 And, don't forget our beloved La Fonda’s “Harvey” that is now available for special order in it’s newest limited edition size of 54”. Harvey Grande has been the featured bronze sculpture in La Fiesta Lounge since the remodel and been coveted by many locals and visitors alike. “La Fonda Then and Now” makes a wonderful holiday gift for all La Fonda enthusiasts and history buffs that want a beautiful coffee table book to share the old and the new of this historic hotel. 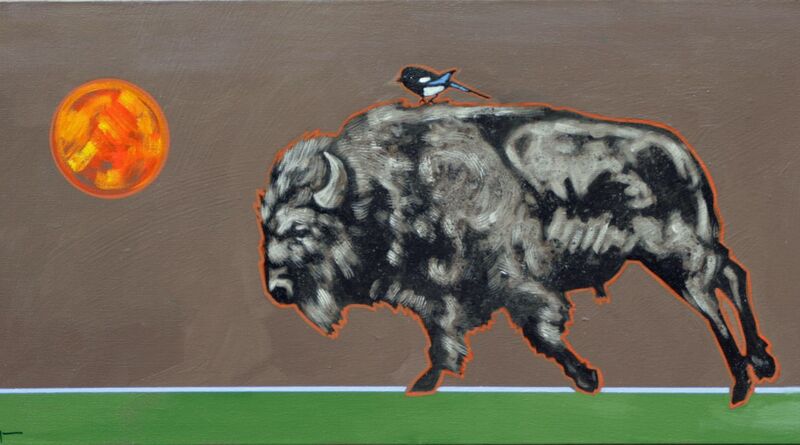 Also called "American Bison," buffalo tastes slightly sweeter than beef. It also has significantly less fat and cholesterol. 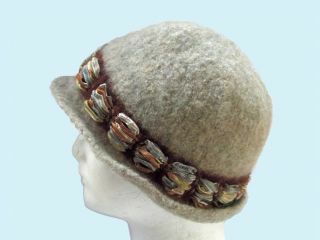 You can find buffalo at specialty stores (such as Whole Foods), some farmer's markets, and online at dartagnan.com. If you are unable to find buffalo, use grass-fed beef. Bring this mixture to a boil, remove from heat and cool. Heat olive oil in a pan and add the onions, sweat until translucent then add the green chile and toasted piñon nuts. Cook this mixture over medium heat until it starts to dry out. Quickly chill. In a large bowl combine the ground meats with the eggs, raisins, panko crumbs, herbs de provence, salt and pepper. Now add the onion mixture and mix in thoroughly. Shape by hand or use a loaf pan to help shape your loafs to about 12” long by 5” wide and 2” tall. Bake for about 35 minutes, remove and spread on some of the glaze, now put back in oven for about 20 minutes and cook to an internal temperature of 150F. Slice and serve with the glaze, roasted garlic mashed potatoes and fresh vegetables. The definition of eclectic is varied, wide-ranging and extensive. Eclectic is the perfect word to describe the music of Gerry & Dan, our November featured artists in La Fiesta Lounge. Because whatever kind of music you like – country, pop, folk, Spanish, Irish, guitar, danceable or relaxing – Gerry & Dan have you covered. Gerry Carthy has called Santa Fe home for 32 years. Originally from Ireland, he brought with him his extensive Irish and folk repertoire on banjo, tin whistle, flute, concertina and sax. 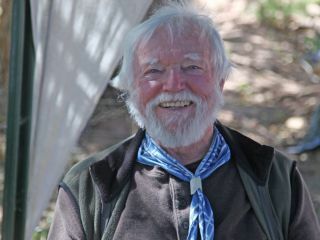 “I carry the torch for Irish music in Santa Fe, taking apprentices and teaching,” he says. Both he and Dan McDermott sing and Dan plays the guitar. Dan has a lovely voice, and spent many years in Honduras, so he also sings Spanish songs. We cover a lot of ground and musical styles. 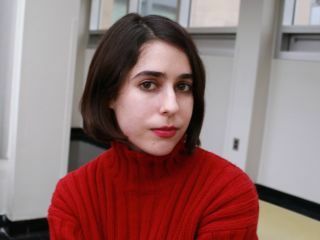 People love the Spanish-Irish mix,” Gerry adds. Dan has joined Gerry in his gigs in the past and audiences appreciate their blended troubadour styles. Gerry says that their performances are like being at an informal musical gathering much like the pub scene in Ireland. “Everyone is having a good time. It’s more the attitude. 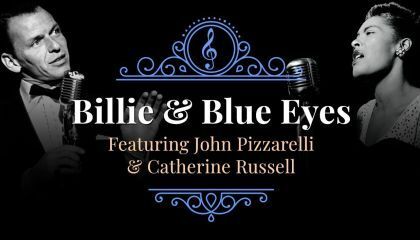 The music is the glue that creates an atmosphere where people can enjoy themselves.” Naturally, the duo takes requests, and Dan takes the lead on country versions of Hank Williams, George Straight, Woody Guthrie and Doc Watson tunes. 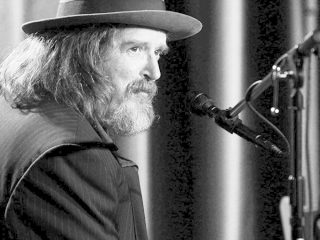 Samples of some of Gerry’s Irish-themed performances can be found on his website. We welcome them to La Fiesta on November 14th & 15th. The popular citywide Artist in Residence program returns again this year. 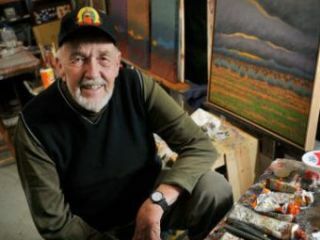 Well-known artists take up residency every weekend all around Santa Fe. 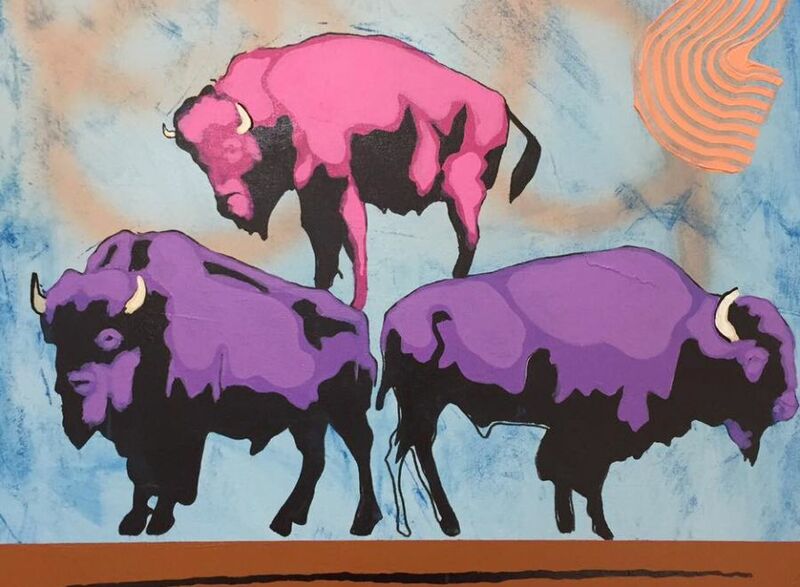 La Fonda will have 15 amazing artists November 2 through Feb. 24. Our calendar of artists is here and be sure to check out our Artist in Residence special. 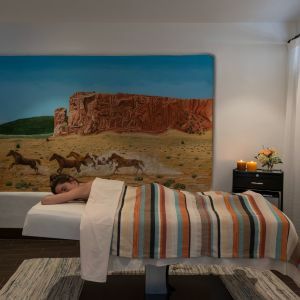 For a list of all artists, dates and participating locations, go to Santa Fe.org and enter to win a weekend in Santa Fe. 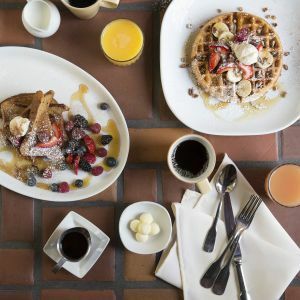 For La Fonda, featuring artists in residence happens to be a tradition that dates back to the 1960s, if not the century before, so stop by and visit with them. Below are two of last year's artists. 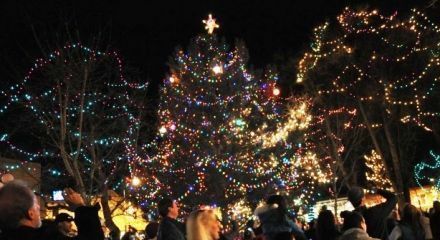 The winter holiday season official starts with the day after Thanksgiving (Nov. 23), when the annual Holiday Tree Lighting happens just outside our doors on the Historic Downtown Santa Fe Plaza. Enjoy hot chocolate and caroling as the plaza is officially lit up in splendor with lights and holiday décor. 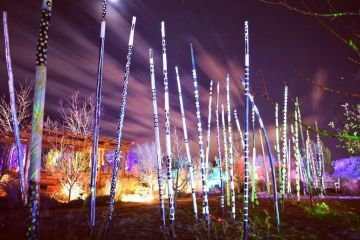 The Santa Fe Botanical Garden does its own holiday light (Dec. 14-31). Glow, features the Garden’s newest section, Ojos y Manos. Grab a friend or bring the family (kids 12 and under are FREE!) and enjoy a hot beverage by the fire, traditional (and untraditional!) 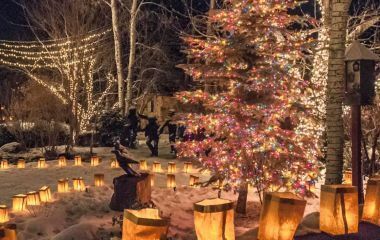 holiday music, delicious food and drink, do a little holiday shopping in the Garden’s Gift shop and be bedazzled by a special laser light shows and exhibits designed for this year’s GLOW. It’s every night except Dec. 24 & 25. 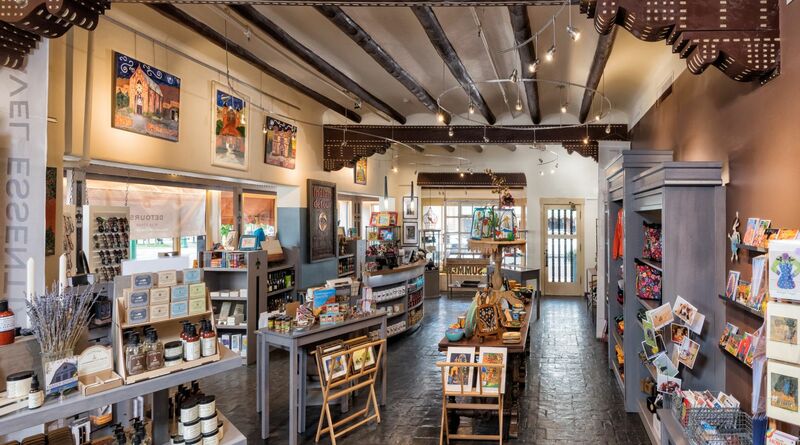 Get in the mood for holiday shopping with Native artists in a festive and intimate environment right here at La Fonda. 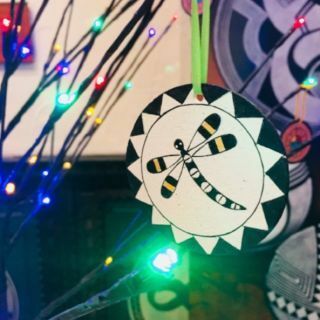 December means the 13th Annual Winter Indian Market (Dec. 14-16), bringing art lovers and more than 150 of the most accomplished Native artists in the world selling jewelry, pottery, paintings, weavings and much more. There’s also a fabulous silent auction, live music and dance and more! 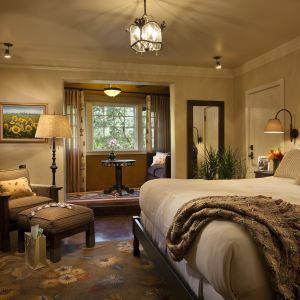 Stay at La Fonda and you’re in the heart of the action! Our Winter Market package includes tickets to the Friday preview and weekend events, breakfast for two in La Plazuela, complimentary parking and no hidden resort fees. But don't wait long, this weekend always sells out! And in a tradition that extends who knows how far back, there’s the Canyon Road farolito walk (Dec. 24), when art galleries open their doors as street musicians play and people gather at traditional bonfires—the event attracts some 30,000 strollers each year. 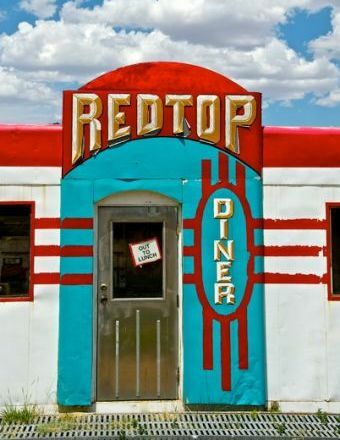 Red Top Diner sat on Route 66 for many years. Located between Moriarty and Edgewood on that famous highway, it has now been removed and, sadly, no longer exists. Photographer, Nicholas Trofimuk, was lucky to be present just before it was removed on that fateful day. It is our special offer for the months of October and November. A delightful reminder of the special past of New Mexico. Where else would there be an “out to lunch” sign on a diner? Call (505) 989-9540 or visit their website. With two locations inside La Fonda, Things Finer has been Santa Fe's premier source for Fine Antique and Contemporary Jewelry for 25 years. 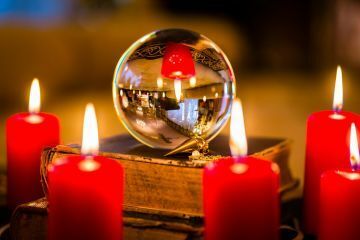 With over 60 years of expertise, as a family enterprise, Things Finer make acquisition of a unique treasures, exciting, fulfilling, and lots of fun. 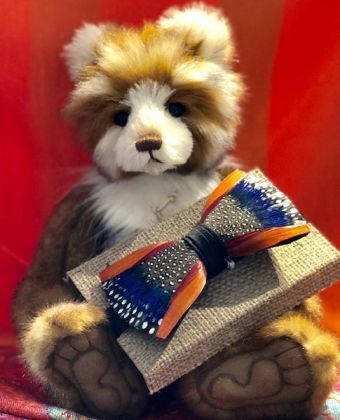 Get a head start on holiday shopping with Brackish feather bow ties and adorable Charlie Bears at Things Finer. 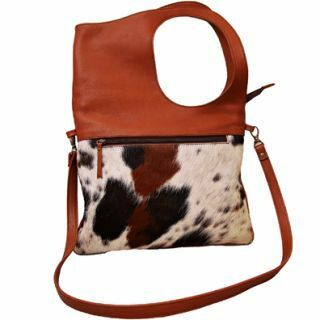 Available now by calling 505-983-5552 or visit the website, ThingsFiner.com. 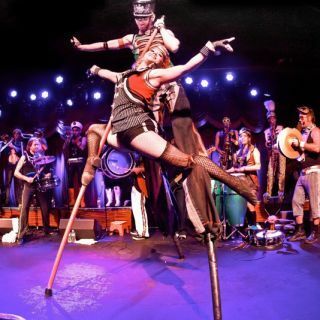 November welcomes Bread and Puppet Theater to town with The Grasshopper Rebellion Circus at Wise Fool New Mexico (Nov. 16). 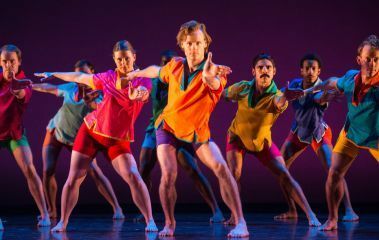 Then Wise Fool continues its own Thanksgiving weekend tradition with Circus Luminous (Nov. 23-25). 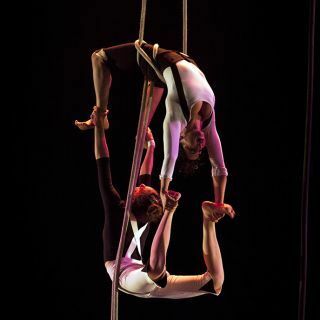 The acrobats, aerialists, dancers, and musicians never fail to delight with daring yet graceful feats of wonder, visual splendor, and poignant humor. It’s a home-grown circus extravaganza for all ages! The Oasis Theatre Company presents Mamet Mania, a double bill of The Shawl and The Sanctity of Marriage (Nov. 1-18). Meanwhile, Adobe Rose’s fourth season opens with Lauren Gunderson’s acclaimed new social commentary, The Revolutionists, an irreverent, female-empowerment comedy set during the French Reign of Terror (through Nov. 4). 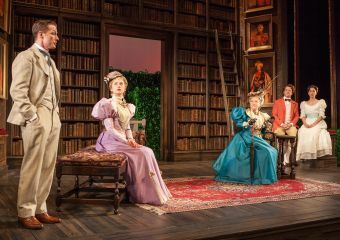 Santa Fe Playhouse explains The Importance of Being Earnest (Nov. 29-Dec. 16), Oscar Wilde’s classic comedic masterpiece. 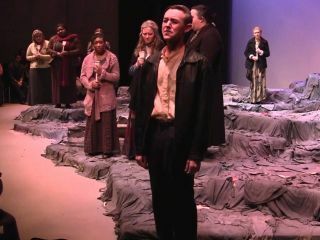 NM School for the Arts moves us with the award-winning drama The Women of Lockerbie (Nov. 1-3). A mother from New Jersey roams the hills of Lockerbie, Scotland, looking for her son’s remains that were lost in the crash of Pan Am 103. Then these talented students lighten the mood with Amuse Bouche, an original European Clown show (Nov. 8-10). Santa Fe Playhouse explains The Importance of Being Earnest (Nov. 29-Dec. 16), Oscar Wilde’s classic comedic masterpiece. 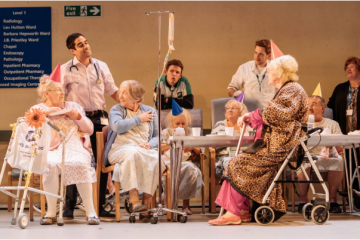 The Lensic’s November’s film fare includes a new play by Alan Bennett, Allelujah! (Nov. 12), the delicious The Madness of King George (Nov. 27), and Antony & Cleopatra (Dec 18). The Met Live in HD opera series continues in November with Marnie (Nov. 10) and La Traviata (Dec. 22). Art lovers of all sorts have a busy month: drive out to Dixon for their studio tour (Nov. 3-4), celebrating more than 37 years. Then get your fill of fiber at the Santa Fe Fall Fiber Fiesta, the largest local show of traditional and contemporary handmade fiber artwork (Nov. 16-18). 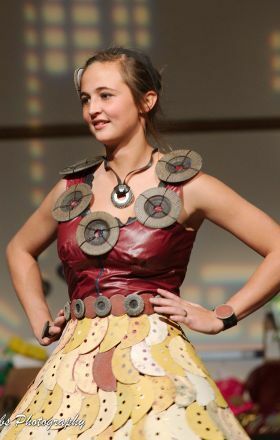 the Recycle Santa Fe Art Festival (Nov. 30-Dec. 2) is the country’s largest and oldest recycled art market, turning one person’s trash into everyone’s treasure for 20 years. Here's your chance to go all out in fabulous Mexican inspired costumes and painted calavera-style faces: the Museum of International Folk Art’s benefit evening, Noche de Muertos (Nov. 3). New Mexico School of the Arts students will paint faces on the day of the event (by reservation and $25 donation to MOIFA). Then stay for Post-Noche, the spirited after-party. The Museum of Spanish Colonial Arts holds its own annual gala on Nov. 17. 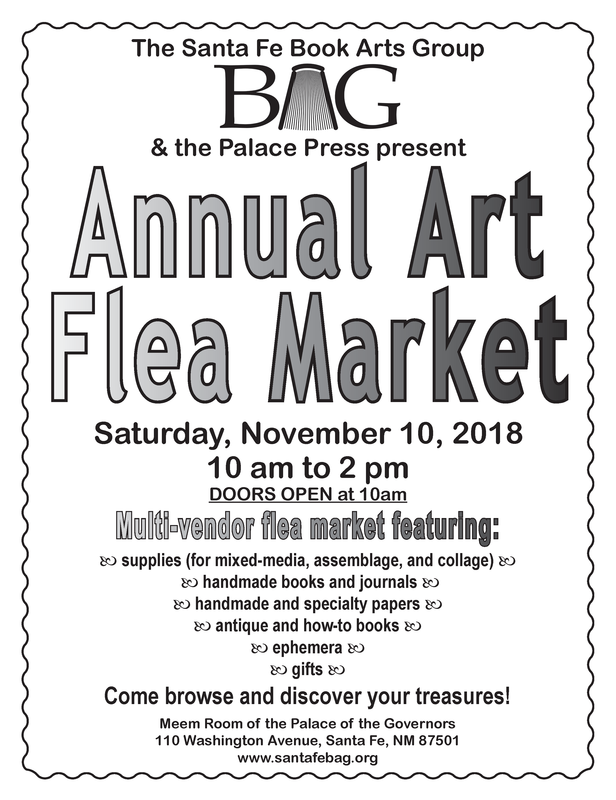 Santa Fe Book Arts Group and the Palace Press presents its annual Art Flea Market (Nov. 10). Shop for supplies, handmade books and journals, handmade and specialty papers, antique and how-to books, ephemera and gifts. We’ll bet you know a book lover who would appreciate a little something. Hopi kachina carver Gerry Quotskuyva tells about his experiences as a Native Artist Fellow at School for Advanced Research (Nov. 15). This free artist talk focuses on his Gnarly Root Project to produce a large sculptural piece. Celebrate 10 Who Made A Difference (Dec.6) sponsored by the Santa Fe New Mexican, highlighting the actions of volunteers in our community that have Made A Difference in the lives of others. This is the 3rd year of offering family and friends an opportunity to publicly thank the honorees for what they do and share stories of the impact their efforts have made. 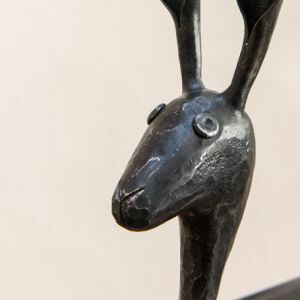 The New Mexico Museum of Art’s annual Holiday Open House (Dec. 16) is a round-robin of puppet plays, art making projects, photos with Santa Claus, and other activities, free and completely kid friendly! The city wide, "Artist in Residence" program returns again this year. 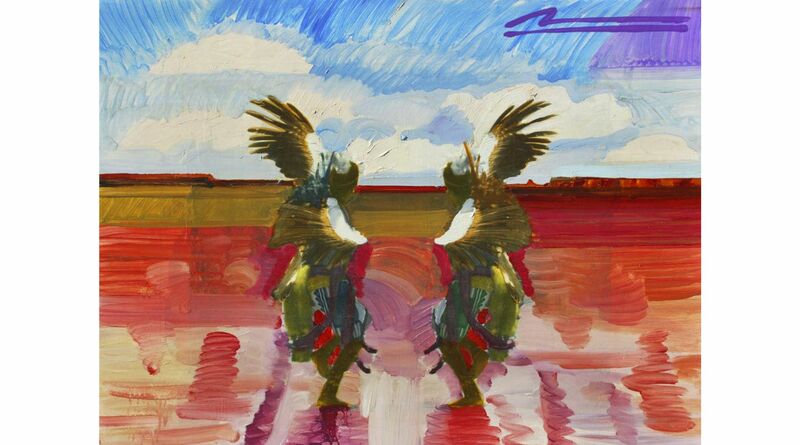 Well-known artists will be taking up residency every weekend all around Santa Fe. La Fonda will have 12 amazing artists (November 2nd, 2018 through February 24, 2019). Our calendar of artist are posted HERE and our Artists in Residence special will be available online soon. 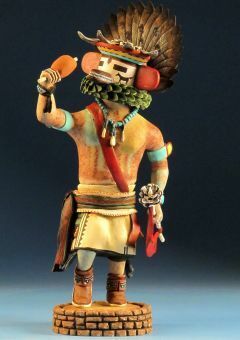 For a list of artists, dates and participating locations, go to santafe.org and enter to win a weekend in Santa Fe. The Lensic’s November line up includes something for everyone. Start with Santa Fe Pro Musica’s A Scottish Adventure (Nov. 3-4) and The Brandenburg Concertos (Dec. 29). Segue to the Santa Fe Symphony’s performance of holiday favorite Handel’s Messiah (Nov. 17-18) under the baton of Guillermo Figueroa. Continue the holiday theme with Ten Australian operatic tenors feting the season with a selection of traditional and contemporary favorites (Dec. 4). Christmas Treasures is the Symphony’s theme on Dec. 9. Performance Santa Fe’s line up of November concerts includes Veronica Swift (Nov. 9), Mark Morris Dance Group (Nov. 30), followed by Catherine Russell and John Pizzarelli’s A Salute to Billie Holiday & Frank Sinatra (Dec. 8). 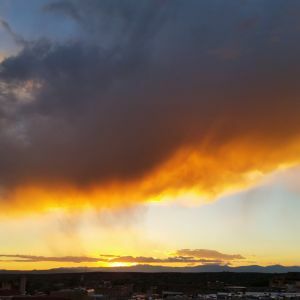 The NM Performing Arts Society Winter Solstice concert at Immaculate Heart of Mary chapel (Nov. 24) features traditional carols, motets and cantatas for the holiday season. 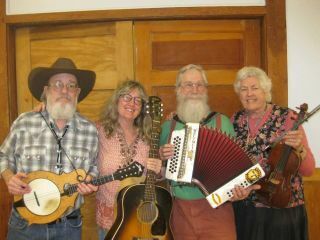 The Bridge at Santa Fe Brewing brings local favorites Bayou Seco (Nov. 10), while GiG Performance Space welcomes Peter Case (Nov. 11). AMP’s fall line up continues to be stellar! 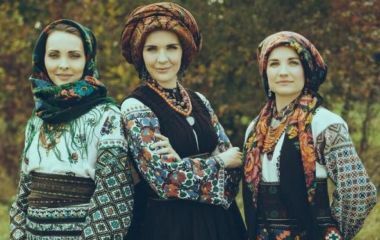 Be sure to see Great Lake Swimmers (Nov. 7), Ukrainian vocalists Kurbasy (Nov. 10), and Cambalache and local favorites Wagogo (Nov. 16). 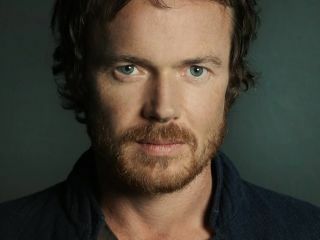 The big news is Irish vocalist Damien Rice (Dec. 5), a show we’re excited for., although tickets may already be sold out. 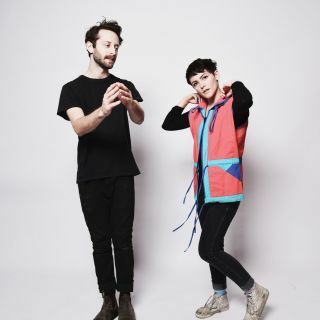 Over at Meow Wolf, don’t miss Diet Cig (Nov. 3), Ghostmane (Nov. 5), the psychedelia of Evan & Zane (Nov. 7), the joyful exuberance of MarchFourth (Nov. 8) and TokiMonsta (Nov. 10). The month continues with G. Jones – The Ineffable Truth Tour (Nov. 13) and ends with SoMo (Nov. 30). 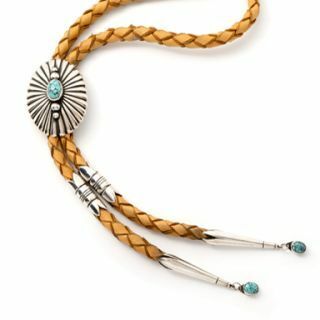 Begin collecting art, jewelry, pottery and more from the next generation of Native American artists and craftspeople. 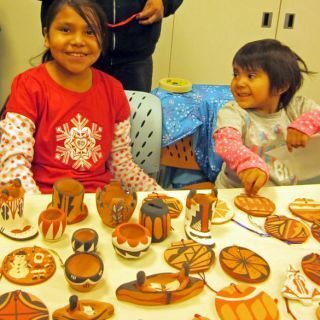 The Young native Artists Winter Show & Sale (Dec. 2) at the NM History Museum brings children and grandkids of Palace of the Governors’ Portal Program artists to demo and sell their own arts and crafts. 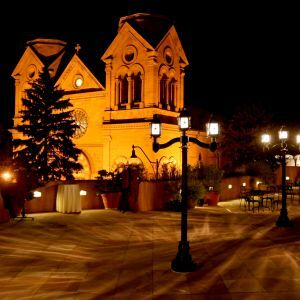 Santa Fe’s beloved Christmas at the Palace brings the community together just outside La Fonda’s door for an evening (Dec. 7) of hot cider, cookies, live music, a chance to operate an antique printing press, old fashioned activities, a visit from Mr. and Mrs. Claus -- all in the legendary magic of the Palace of the Governors. A free, family event. (Donations of non-perishable food welcome.) Then the annual candle-lit procession of Las Posadas travels around the Santa Fe Plaza and concludes in the Palace Courtyard (Dec. 9). The New Mexico Museum of Art’s annual holiday concert (Dec. 8) promises a delightful free performance from High Desert Harp Ensemble. 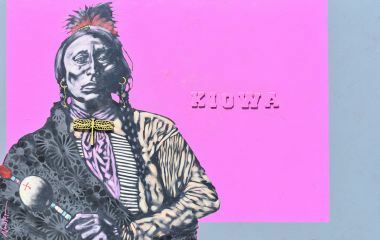 Then stay for the latest exhibition, Good Company: Five Artist Communities in New Mexico (through Mar. 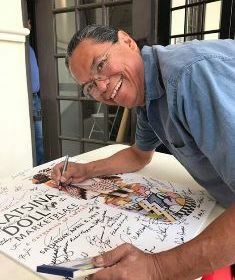 10, 2019), which showcases the role of artist communities in New Mexico. Explore works by members of the Taos Society of Artists, Los Cinco Pintores, Transcendental Painting Group, Rio Grande Painters, and the Stieglitz circle. Despite their shared desire to form a creative community, each of these groups had a distinctive aesthetic and set of guiding principles. The juxtaposition of these five groups offers a closer look at what makes each unique. The Spanish Colonial Art Museum GenNext Lecture Series continues with Devotion in Motion: Tattoos, Cars, and Saints, a discussion of new mediums being used to make traditional imagery (Nov. 8). 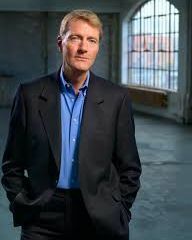 Then Jean Cocteau hosts author Lee Child (Nov 11), reading his latest Jack Reacher novel, Past Tense. 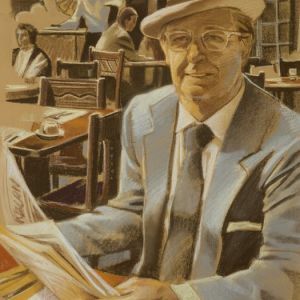 Friends of History Lecture Series at the NM History Museum discusses The New Deal in New Mexico: Preserving Hispano Culture Through Music & Lore (Dec. 5) Jack Loeffler, author, aural historian, and radio producer will be joined by fine artist and folk musician Frank McCulloch.